"I am happy being a woman (on screen). That is not a problem for me. But I am happy that people also accept me as a man (on screen) which means I am an actor who is accepted in various kind of roles despite my funny character on screen." He said after doing funny character and a funny role (in Comedy Nights with Kapil), people are accepting me in serious roles, that is making me happy. 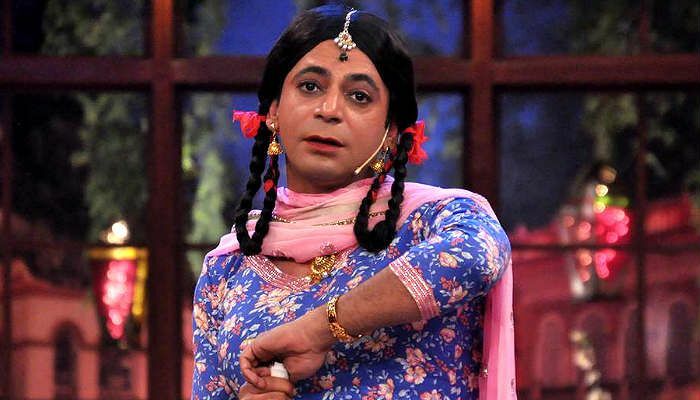 Sunil is portraying the character of Gutthi in Comedy Nights with Kapil, hosted by comedian Kapil Sharma, which airs on Colors channel. "It is a challenge for audience than for me (to accept me in a serious role)," the 38-year-old actor said. The stand-up comedian was in Goa to perform for the New Year bash on Casino Pride, an off shore vessel. Sunil also said that he is comfortable in being anyone else other than himself. "I am more comfortable in being someone else. Whether it is (wearing) salwar kamiz or policemen suit, a bikini or a shorts, anything would do," he said. Sunil said his new year resolution was to work harder and to make people laugh. "I want to keep trying and keep people entertained," he added.